WASHINGTON — A leading congressional proponent of more offshore oil drilling along the Atlantic and Gulf Coasts promised to continue his fight Wednesday, after being dealt yet another defeat. A Democratic-controlled House panel voted 9 to 6 in a party-line vote against lifting the 27-year-old offshore drilling moratorium at a time when gasoline prices are expected to float at or above $4-a-gallon for the summer. 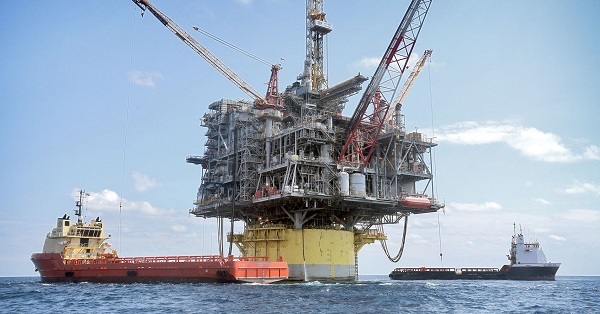 The amendment by Rep. John Peterson, R-Pa., would have opened drilling off Florida’s Gulf Coast and off the Atlantic coasts of North Carolina, Virginia and South Carolina in now-protected areas 50 to 200 miles offshore. His measure also would have opened the Pacific coast to oil drilling. The first 50 miles off shore would be closed to drilling. “There is no valid reason for Congress to continue keeping Americans from the energy resources they own and are in dire need of,” said Peterson, whose district includes what once was a major oil- and gas-producing area and former home of Quaker State Oil. The U.S. Minerals and Management Service estimates there are 86 billion barrels of oil under the Outer Continental Shelf, the sloping undersea plain between the continent and the deep ocean. By some estimates, there could be 3.88 billion barrels of oil within 125 miles of Florida’s Gulf coastline alone. He said that would help stabilize oil prices, dampening the rampant speculation in oil in world markets. But opponents argued prior to the vote by the House Appropriations Subcommittee on Interior, Environment and Related Issues that much of the federal land already leased to oil and gas companies is not being aggressively developed. Obey said the real issue is that both political parties in Washington have been negligent in developing alternative energy and energy conservation methods. The idea of unlocking offshore oil and gas has little support in the Senate — and is opposed by the White House. But Peterson, who is not seeking re-election this fall, signaled that he and fellow Republicans plan to keep re-raising the issue and making Democrats cast repeated votes on it, perhaps as early as next week when the full House Appropriations Committee considers the same spending bill. “Whether we appreciate it or not, the American people are going to have a lot to say about this,” said Peterson.